Although our show has been over for a while now, our club is still resting on our laurels for another job well done! We would like to once more thank all of our club members, guest demonstrators, and visitors who came out to support us. We would also like to send a special thanks to our CFMS (California Federation of Mineralogical Societies) President Jennifer Haley for coming our to our little home grown show to visit us! For several years now, we have asked out show guests to vote on their favorite display cases at our show. Although it is hard to choose, only one person earns the first place plaque! This year, our first place winner was Chris Curtin, and his cases of self collected and polished Acton Agates- wonderful display Chris! In second place we had Terry Vasseur and his case of handmade jewelry. Terry has been one of our best silversmiths in the club, and has a natural eye for setting stones in a way that compliments the stone itself. We are lucky to have your expertise Terry! And our third place winners are Larry Hoskinson and Leslie Neff, with their ever popular and well toured case of hand collected and polished Australian Opals. Life time members of our club, we can say that they have the keenest eyes for Opal of anyone out there! We would also like to congratulate Craig and Kathy Polliard for being or CFMS Rockhounds of the Year. Craig and Kathy have worked hard for our club consistently over many years now, and have become an integral behind the scenes part of our club and show planning. Thank you guys! Congrats to all of our winners, and a big howdy, hello, and thank you to all who came out to our show and voted! Hi Jamie, did you see the 2 SBLMS mentions in the CFMS newsletter this month? What Are Rocks to You? 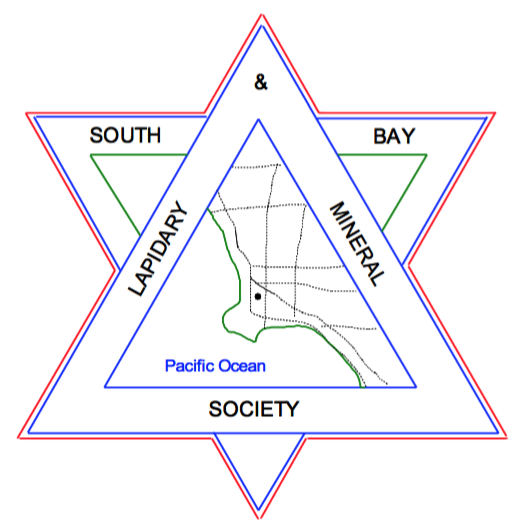 © The South Bay Lapidary and Mineral Society , 2018. Unauthorized use and/or duplication of this material without express and written permission from this site’s authors is strictly prohibited. Excerpts and links may be used, provided that full and clear credit is given to the author and the SBLMS with appropriate and specific direction to the original content.